Stercutus wrote: For cooking I have a huge gas grill with 8' sqft of cooking space. I also have another gas grill that the huge one replaced sitting off in the shop. Hey, more power to you if you have the propane to run that for days feeding scores of people. And in any case, I won't fault you for any amount of cooking you can provide for strangers in need in OP's flooding scenario. Anything's better than nothing and you'll be thanked for it. What I'm thinking of is so ridiculously old school, I'm having trouble finding a good picture of the kind of grill that was ubiquitous in midwestern backyards when I grew up. This was pre-Smokey Joe charcoal grill and certainly pre-brushed stainless steel with 14,000-BTU side burner propane grill days. Just old fashioned charcoal if you have it, otherwise wood until it burns down to a good set of coals backyard grillin'. 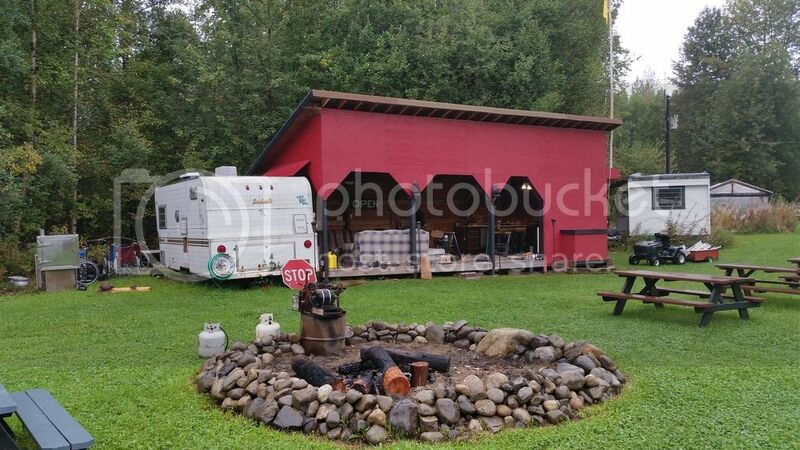 this kind of backyard set up can potentially run on almost any sort of combustible fuel source. I run gas logs so have a few hundred pounds of gas on hand at a time. Propane uses surprisingly little to run a big grill. I think the #1 morale item would be a radio. I am going to so with connectivity. If you get net you can get just about anything including radio. You can learn a lot more a lot faster and communicate out with practically everyone that you want to communicate with. Now that most major providers allow world wide calling over web you can also call or text anyone as well. Web is harder and more likely to be outside your control but exponentially more powerful, useful and morale building. That's a good point. Internet connectivity would definitely be better than radio. It might be harder to pull off. If a person has a satellite connection the Internet that would work as long as there was power and a decent signal (when it rains heavy here we often lose our satellite signal). What about cellphone booster antennas? I don't know how expensive they are. This is south LA. It is likely that you will have one of these and if not it is likely someone near by will. This is an easy to cook a meal of rice, chicken sausage or meat by simply boiling and adding some seasonings that again most people (in south LA) will have handy. Cooking food is actually the least of your problem though. 150 people will need at least 150 gallons per day of drinking water. Likely much more due to the fact that it is hot and summertime. Even if the water is working I would worry about contamination. You will also want that seafood boiler to boil potable water to kill any contaminants. Actually not serving food will make the water last longer and reduce the need for sanitation. No food ingested less waste discharge. I would likewise note that most Americans could go for several days without food without fear of starving. However, the culture of South LA centers on food and being welcoming to guest and visitors. Withholding food could actually lead to issues. The real problem however will be fresh water and sanitation, that and morale. Unless you have experienced losing everything you own it is very difficult to wrap your head around the trauma these people are enduring. 1) Your house just got 5 feet of water in it. 2) You do not have flood insurance because you live above the flood plain and you have never flooded before. 3) Your car is flooded. You may have put some valuables in the attic or may not have ... you do not remember. 4) You are now staying at someone's house and in need of real help for what is likely the first time in your life. Are you really going to care about what you eat? Are you going to be very hungry under the circumstances? ...or are you really just going to want to find some comfort in some form or another? Yes a hot meal will help with morale but honestly IMO the real problem assuming help is likely is the human aspect of the this incident. BTW radio was not very helpful since there was basically no coverage beyond the announcement that i-12 i-10 was closed. What you wanted and I cannot believe I am saying this is access to FB. That was was the only decent real time information that was useful. And how would it be best to care for children in such a situation? Lister bags (think canvas duffel bags with spigots) and iodine for water purification, hopefully with kool aid packets to flavor water as consumed, for safe drinking water. Food cooked as suggested by previous posters, mostly for morale reasons in the first week. Beyond that you're getting into preparing them to rebuild, in contrast to helping them survive the immediate calamity. Get them to talk with each other, foster mutual aid and assistance for repairing and rebuilding. There isn't much better than neighbors helping neighbors to fix each others homes after a calamity. One may have the tools and know-how, the other the materials. This is IMO the best way to deal with the morale issue. Take them out of the here and now and bring them to a nicer future. This is the way to build rapport and grow a sense of community vs. victim hood and misery. The So LA culture is actually one of self reliance, help your neighbor and fix it yourself (I present the Cajun Navy as exhibit A). That culture is much more resilient and resistant to accepting aid. It is very different from the urban culture of NOLA. It helps to know the local culture, which if you live there, I would assume you do. then adjust the message for the audience. Hot food, positive contacts with friends and relations and a strong focus on problem solving the solvable problems at hand are the big muscle movements for morale in the short term. Other important notes: Proper treatment of dead, sick and and injured people, equitable treatment and sharing of constrained resources, taking care of the weakest and most helpless... these are things that people will see as red flags. Interesting and thought-provoking situation...I honestly don't think that I could provide shelter for that many people. Basing each person off of a roughly 8' x 3' area (essentially a twin sized bed and a footlocker at the end), I might be able to get 60-65 people into the house uncomfortably, another ~12 onto the back deck, and assuming it was empty, maybe 6 into the shed (more if there were small adventurous kids who don't mind sleeping on a fairly large shelf). I could probably rig enough tarps up to cover enough space for another 20 people in the backyard. Water would be a pain...5 gallon buckets under the downspouts to act as emergency rain catchers, as well as a few large trashcans to act as water storage containers (the cans haven't been used for anything in years since the county went to automated-lift trash trucks that these cans aren't compatible with; ironically it's very hard in my area to throw away old trash cans), and a few filters and other purification methods to treat any gathered water from my camping supplies (none are designed to handle water in these volumes though). Food would be another issue...if I got creative and scraped the pantry clean, I might be able to create 5 meals for a group that large. Preparation would take a really long time, since the largest food prep items I have would be a 6qt pot and a 10qt pot...everything else is more along the lines of a smaller single-person or dinner for two kind of food prep (bachelor life). As long as the natural gas line was up and running, fuel for cooking/heating water wouldn't be a problem. For that matter, I've got a fairly large charcoal grill and easily 200 lbs of charcoal in the shed (the local Home Depot keeps running sales, 2 packs of 20lb bags of Kingsford blue bag for $5, and I keep bringing home 3 or 4 of the 2 packs every time I go)....so in a pinch, even if the gas line were to stop functioning I could still keep the grill going and cook on that. Sanitation would get interesting quickly...yeah, withholding food would lead to less excrement, but it could also make an already tense situation boil over into legit fights. Plus there's still the issue of urination: while most guys are fine with watering a tree, a lot of people (mostly women, for understandable reasons) have issues with relieving themselves in public...only thing I can figure would be more 5 gallon buckets, clearly marked and kept way the hell away from the rain catching buckets to avoid them getting mixed in. Things like TP would be a luxury that would run out pretty quickly. Morale is definitely something to think about...a radio would be a good idea, since it can entertain multiple people at once, and if it's one of the solar/handcrank style, you don't have to deal with it running out of batteries. Internet access would be king, but may or may not be available and isn't something you can generally do anything about on your own...cellular data isn't very reliable during major incidents, landline data may or may not be up and working. I'd say that board/card games can help out, if nothing else by distracting kids, though they can also distract adults...we tend to have a lot of escapist types of leisure activities, and playing a few hands of a card game or a round of a board game could not only allow people to push the worries to the back of their minds for a few mins but also encourage people to interact with one another and hopefully build more of that community sense that could later help with rebuilding. Admittedly, I'd have to be careful which games I put out, as the really backstabbing games like UNO or Monopoly could just make things worse--people have legit been stabbed over games of Monopoly on regular game nights without the added stress of being displaced by a natural disaster--but overall I think it could be helpful for morale. until Monday. My folks fed them and kept them comfortable. Ya know,only 4 came back later to offer to pay for food they had eaten. Oh yes, when I was young we had many a person live at our house for a time. Nobody ever came back and paid anything, I would take that as a given and just expect 'Karma points'. In a case like this, most will have lost everything to Mother Nature. Even IF their insurance company pays what is necessary for them to rebuild; they won't have any extra in either time, emotions, or money to give back. Best not to expect anything. But you helped and you'll be remembered. 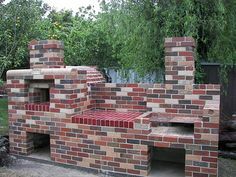 Once I get settled down I want to start working on an outdoor kitchen. A good outdoor kitchen seems like the kind of thing that could be very useful during a disaster as well as fun during normal times. Hopefully I'll be moved into a more long-term situation in the next month or two, but by that time the snow might be flying. We've got a good sized propane grill (but not as much grill space as Strectus) and a propane pot boiler like Raptor showed, but we don't have enough extra propane. My brother has been working on a semi-outdoor kitchen this year. It's pretty nice, and runs off propane, but if the power gets knocked out there's no manually operated well pump nearby. The Old fire 2003. We owned a cabin in the San Bernadino Mts. . T V/Radio was a complete failure as a news source .Repeatedly reporting the area our place was, as burned or nowhere near the fire. Amazingly enough the best source of what actually was going on was from a bow hunting site (Bowsite.com ) who had members of the forum who were active LEO/Firemen or residents who sheltered in place. In fact the first confirmation that our place had survived the fire was when a member who lived nearby drove by and gave a eyes on report. I'm just now starting to play around with it but there are PTT apps for phones which basically turn your phone into a walkie talkie. If used on a open channel this could be a good source of info . They claim hundreds of thousands can use a channel simultaneously . The app I'm trying is Zello. ZombieGranny wrote: Cooking for 150 is very different from cooking for 2. All my life I have cooked for large groups of people, and the change can be difficult. Do you have the facilities and/or the cookware for that many? I'm big on chafing dishes and fondue pots. This set is $12 from Party City, disposable inner pans can be found at a Dollar Tree (package of 2). Stores in a 24 inch space on the shelf, with packs of inner pans and 12 large Sterno cans inside. You put water in the large pan (kept warm with the Sterno) food in the inner pans. The water is kept clean and can be re-used many times, or used for cleanup. I've used the same frame for years, I store it in a large plastic bag in the garage to keep it clean & dry. Great tip, but I will point out to non-cooks that the set up pictured is for keeping cooked food warm, not cooking food.